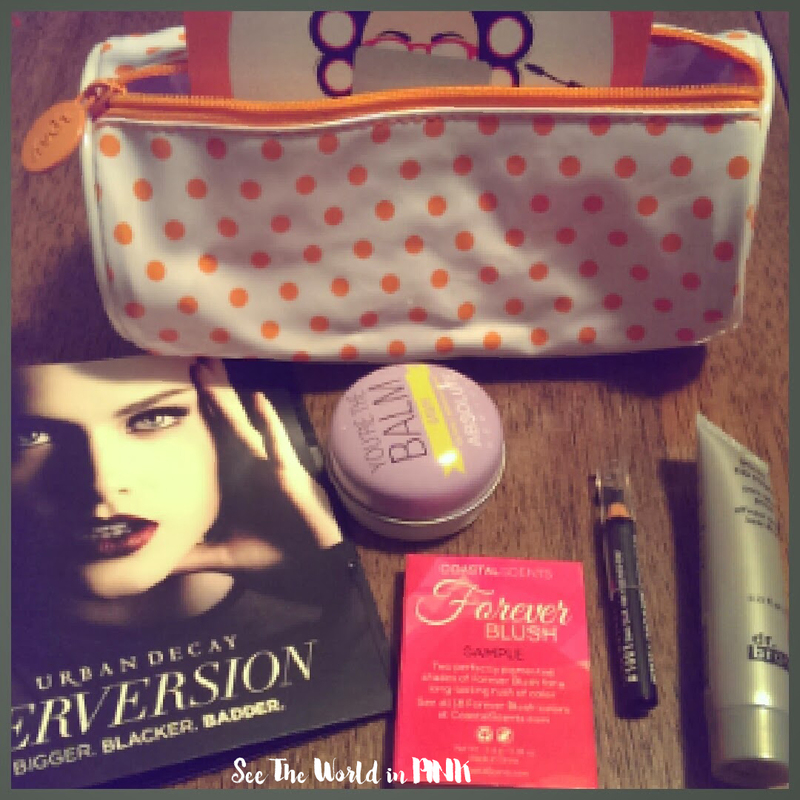 August 2014 Ipsy Glam Bag - Review and Unboxing + Urban Decay Perversion Mascara Review! Ipsy is a beauty bag subscription that that sends you 4-5 deluxe sample or full size products each month. The cost is $10 US + $4.95 shipping to Canada (I paid $16.76 with the exchange rate this month). Ipsy is generally makeup products with a mix of skin, nail, and hair products based on a beauty profile you complete. You can view your "glam room" online that tells you all the products you will receive each month - I really like to keep it a surprise so I don't check ahead of time! This month's theme is "Beauty Schooled". I have to say, this is the first month that I am not a fan of the make-up bag this month (no biggie though, I have loved the last few months so I will find someone who likes this one!). Absolute You're The Balm in "Grape" ~ $2.99 full size. This is said to be lightly tinted, creamy, conditioning formula softens and smooths lips. This is so smooth and really nice to wear - it has a hint of shimmer that may look a little overwhelming in the pot but is not too much when on the lips! 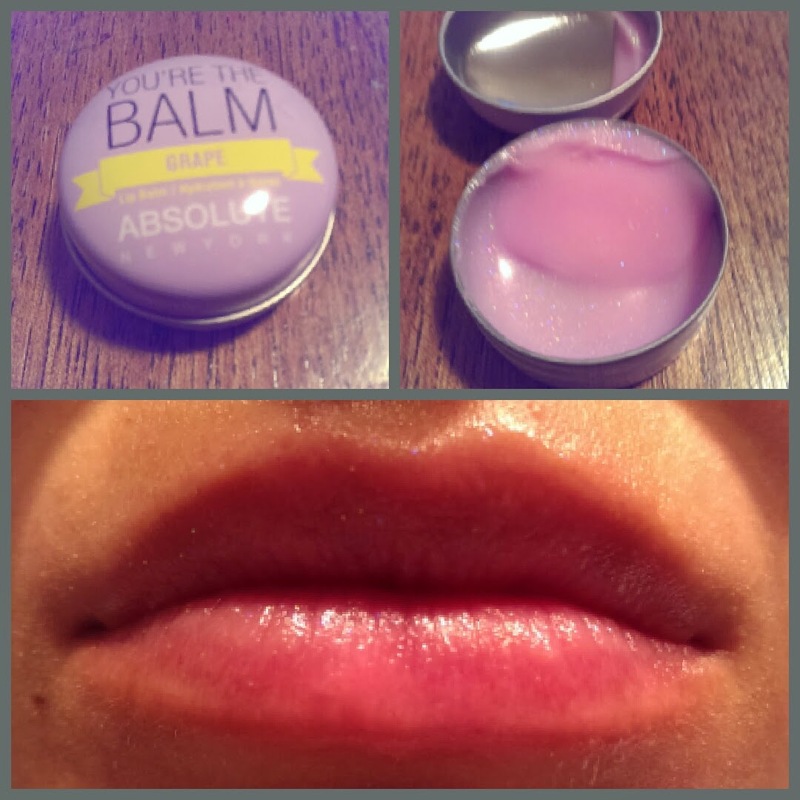 I really liked how smooth and glossy this lip balm looked and felt on! 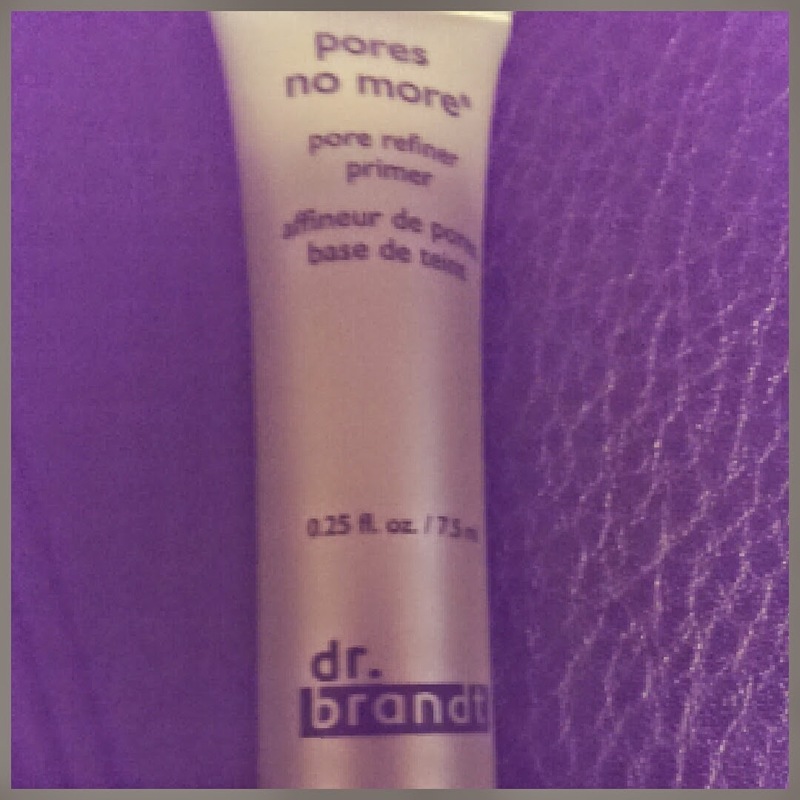 Dr. Brandt Pores No More Pore Refiner Primer ~ sample size 0.25 oz for $11.25 (full size is 1 oz. for $45 US). This primer is said to be a "quick fix for flawless, photo-ready skin. It is the miracle base to create the perfect skin canvas for long-lasting makeup and well-preserved skin. This velvety formula absorbs excess oil, minimizes pores, blurs fine lines and is resistant to sweat and humidity." This primer is amazing! It has a very light tint to it and goes on incredibly smooth! It feels amazing and works great. I am considering purchasing this full size after I am done with the sample - before this, I have yet to find a primer I really love. 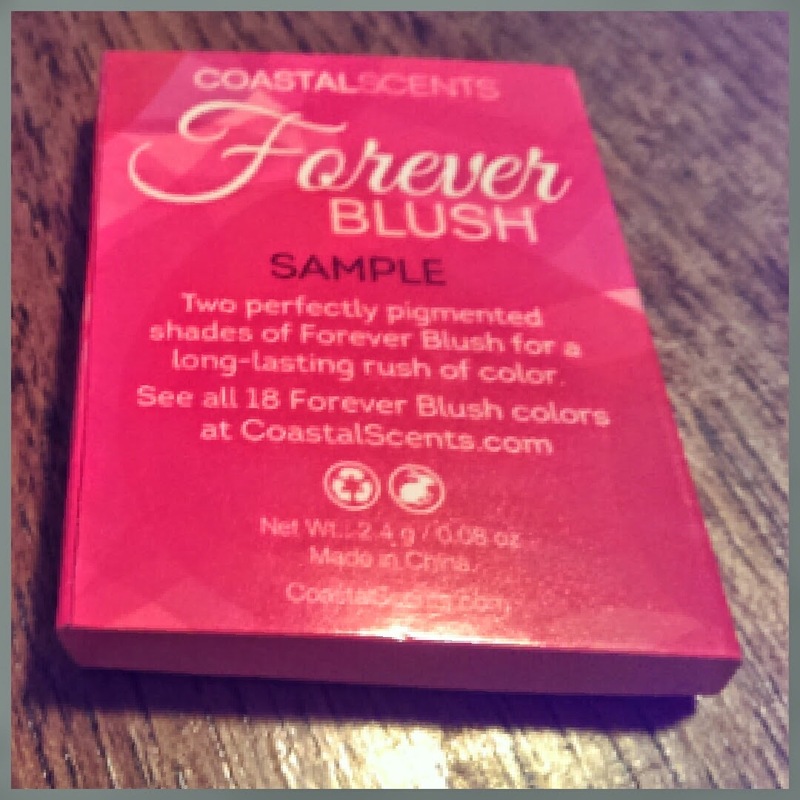 Coastal Scents Forever Blush Sample Duo in "Fresh/Elegant" ~ sample size 2.4g for $1.91 (full size is 10g for $7.95). 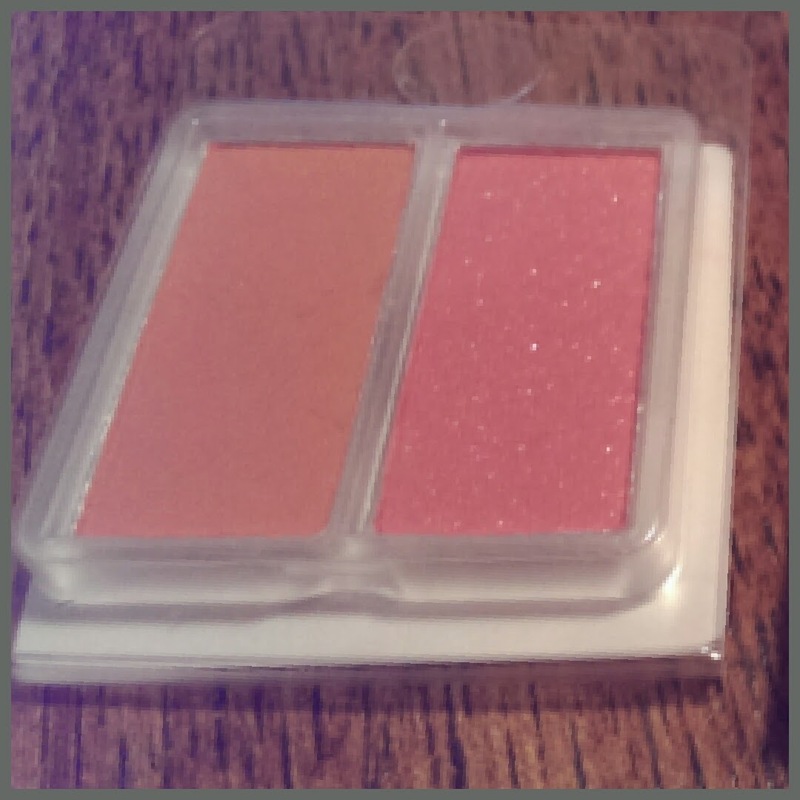 Fresh is a lighter peachy matte finish blush and Elegant is a pink shimmer finish blush. I really like that they gave 2 samples quite different from each other and different than the one blush I use at home! While this sample size is quite small - I have Coastal Scents eyeshadow, so I know you need a very little amount of this blush for great color! The only issue with the small size is getting on the brush with getting both but it's possible! Lord & Berry Silk Kajal Kohl Eye Pencil ~ sample size 0.02 oz for $0.67 (full size is 0.48 oz for $16). Said to have a semi matte finish and is smudge-able - and also great for sensitive eyes as it is a very gentle formula. 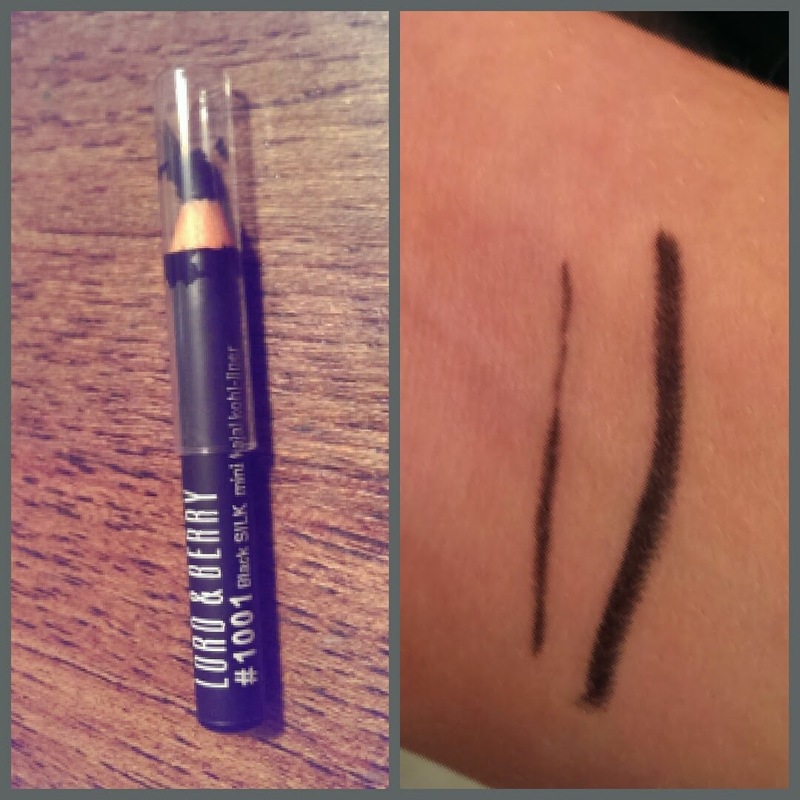 I don't wear pencil eyeliner often (I prefer liquid eyeliner but this goes on very nice and smooth and is nice and dark! For $16.76, I received $22.32 worth of products. So I know this isn't the biggest value in a bag; however I really like this bag. In my opinion, it is nice to receive a mix of products - I would be happy to buy a $7 blush or a $22 mascara. If everything that came in the bag was super pricey no one would ever buy anything full sized. So even though, it's worth relatively the same as I paid I am really pleased with the majority of my goodies!!! What do you think of the August Ipsy bag? Nice nails! I would LOVE to get a blush sample! In all my sub boxes I have never got one. The mascara is the bomb! 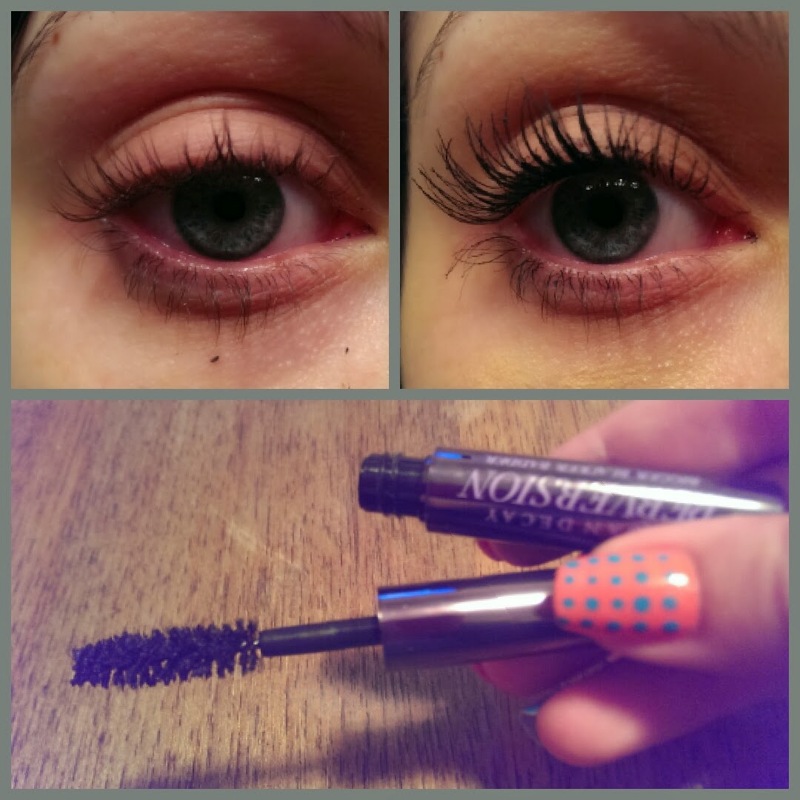 Yes this mascara is awesome!! The favorite one I have gotten for sure! I got the primer and the mascara too this month. So excited to try the mascara, saving it for when my current mascara is done. I was surprised the primer was tinted, all my other primers are clear. Did you notice any color on your skin? I didn't notice the tint on my skin at all - but to be fair, it was pretty close to my skin color. I don't think you would notice it on a medium toned skin either, just for how little you use - but I think the darker the skin the more noticable it may be! I was a little suprised by the tint as well, but I liked it!